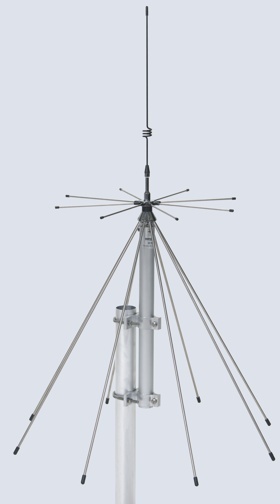 This complete, high-quality 1500 watts 4 ft dual fiberglass CB antenna kit includes everything you need to get on the air except for the radio. An awesome package with EVERYTHING you need to get up and running on the Dual antenna side of things for a CB radio setup. Solid antennas and versatile mounts and Coax, Great Quality in value pack! 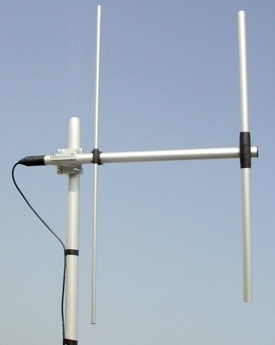 Superior Quality Dual 1500 Watts Antenna Kit! Durable and Best performing! !Works with any cb radio. 1x 18 Ft RG-59A/U Co-Phase Coax Cable PL-259 TO 2 X PL-259 - Connects 2 Antennas! 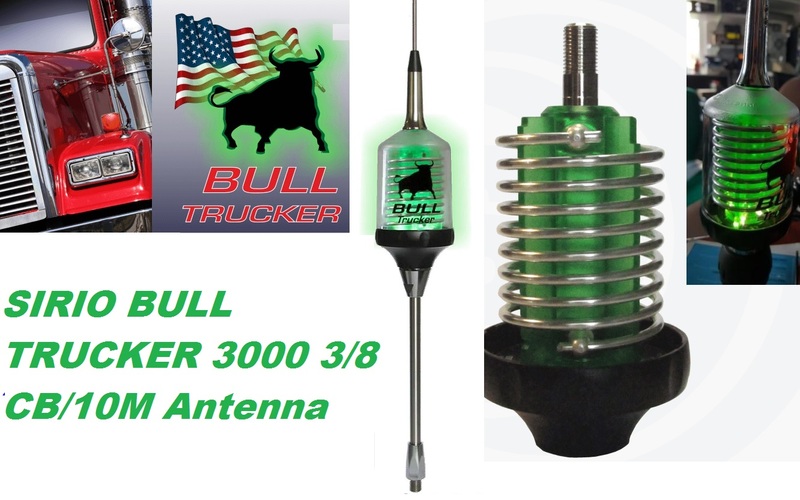 Get two great 1500 Watts antennas for your truck! 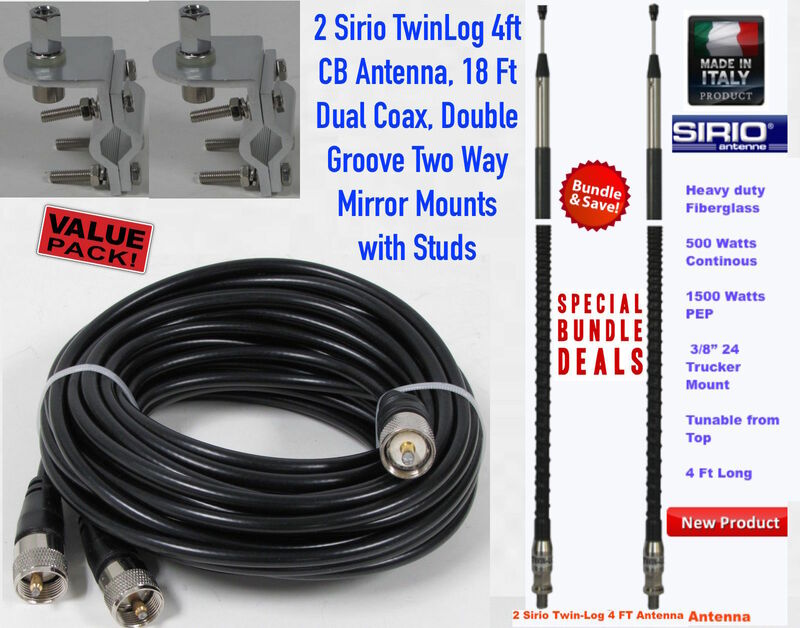 Sirio TWIN-LOG 4 High Performance CB Mobile Fiberglass Antenna (4 ft) is designed for the 3/8 24 mount, Special Design for Truckers!